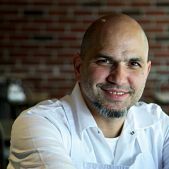 Michael Psilakis has repeatedly acquired many of the food world’s highest honors on the culinary scene. 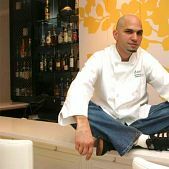 In 2008 he was honored with the Food & Wine’s “Best New Chef and Bon Appetit’s Chef of the Year” and Bon Appetit’s “Chef of the Year” award. 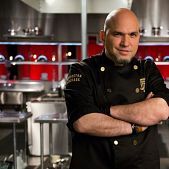 He was also nominated for A-List Chef by Bravo TV, while “Anthos”, his greek prestigious restaurant was nominated for the James Beard Award in the category “Best new restaurant”. 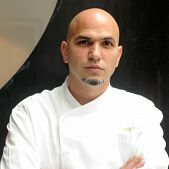 Esquire magazine also named him “Chef of the Year”, and his restaurant was awarded a Michelin star. 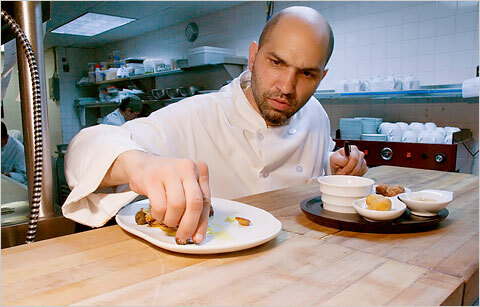 The New York Times named his restaurant as the third of ten best new restaurants. His mother, Georgia, was born in Kalamata, Greece, while his father came from Crete. 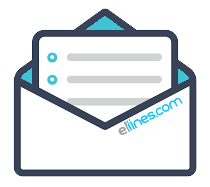 Both sides of his family were marked by the events of the greek civil war, the revolution and the exile that took place in Greece during the last century. As a result they built a typical “greek” house in Long Island. His life as a child was characterized by the christian celebrations in the orthodox church or the family gatherings, where about 200 of his relatives would come to celebrate. “My parents kept inside their mind the image that they had for Greece in 1950, and tried to raise us in the standards of that image”, says Psilakis. “Imagine I had not learned any English by the time I went to school”. In that “world”, women would stay at home cooking every night, while men would slaughter and cook lambs in the back yard, and children on the other hand, would have to finish school and then have a profession. 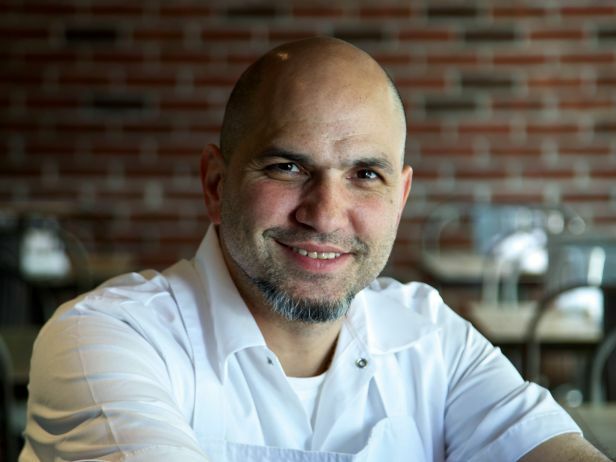 As the first born son of a Greek family living in Long Island, Michael Psilakis would be the one to emphasize on the appreciation for food and hospitality, both very important characteristics to the greek culture. When one day his father set up a huge barbecue in their back yard, he taught him how to roast an entire lamb on a spit. 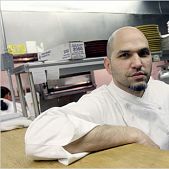 A tremendous cook, Michael’s mother taught him everything about the flavors and techniques of classic Greek cooking and remains his greatest influence in the kitchen. 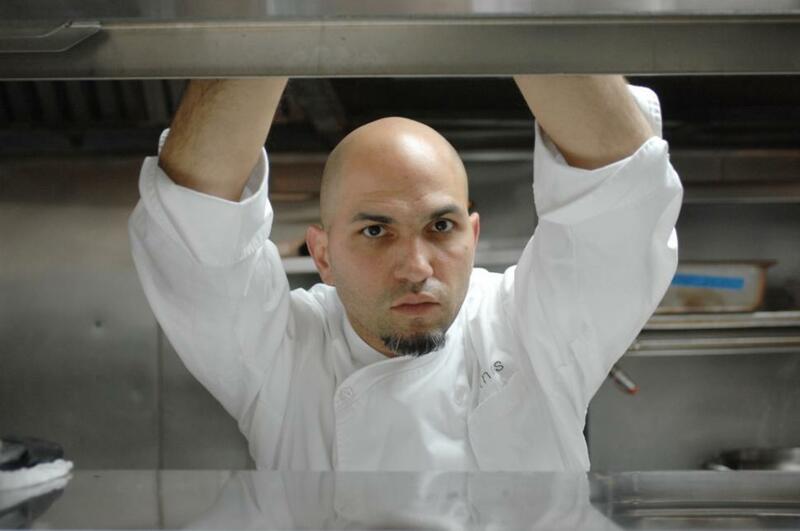 “Even today, the flavors of my dishes are my mother’s flavors”, says Psilakis. “And my instincts for taking Greek cuisine in new paths—I ‘ve inherited it all from her”. In college he earned a BBA in accounting and finance according to his father’s wishes, but after that, he started working as a waiter at T.G.I. 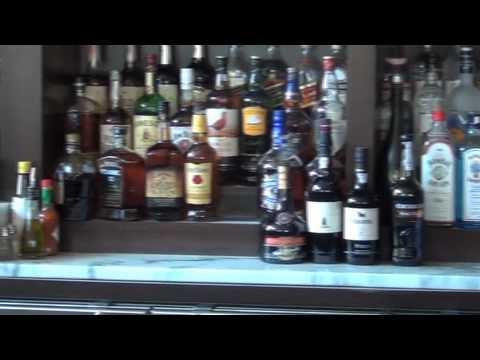 Fridays, where the possibilities of a career in restaurant management first became apparent. Later on, he worked his way up the ranks at Café Angelica, a trattoria on Long Island, and eventually was able to buy it. He renamed it “Ecco” and managed to be put on the map as a trusthworthy businessman. 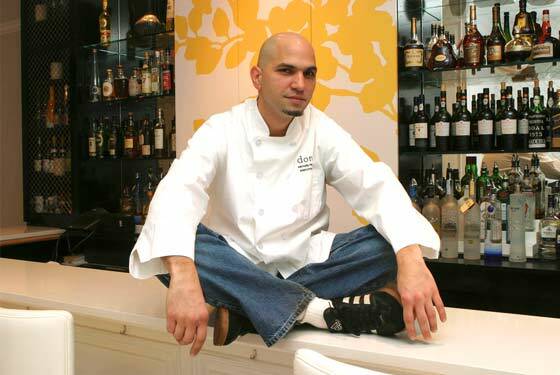 He kept the restaurant for two years, until one night his chef never showed up. 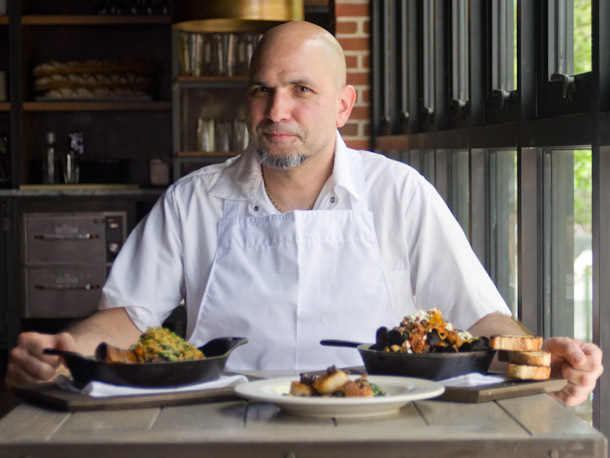 With reservations pending that evening, Psilakis stepped into the kitchen. 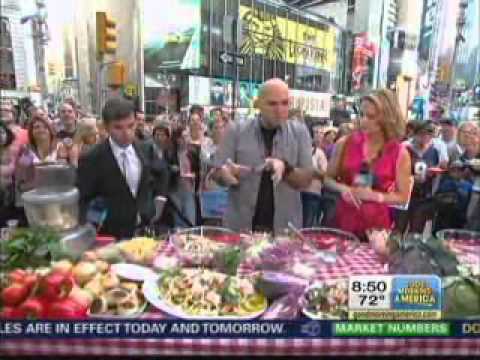 This moment of crisis allowed his innate and indisputable talent as a chef to finally be revealed. 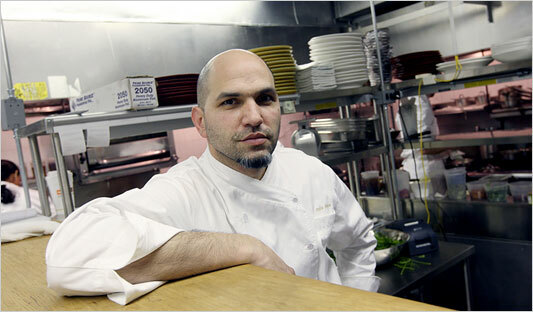 One year later, with Psilakis in the kitchen, “Ecco” received a two-star rating from The New York Times. 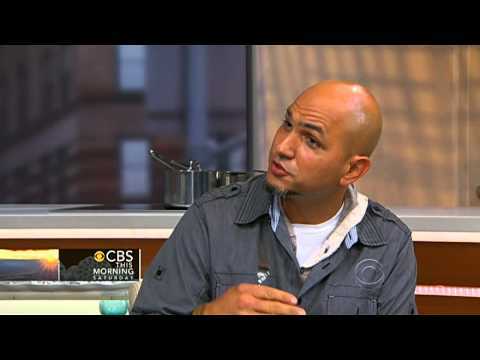 His next project, “Onera”, a restaurant on Manhattan’s Upper West Side allowed him to realize his childhood dream, that is, his passion for cooking. 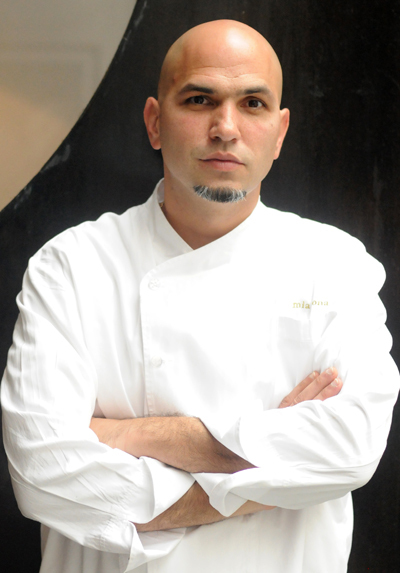 The unique upscale Greek-inspired cuisine he served at “Onera” gave him a reputation as a rising culinary star. 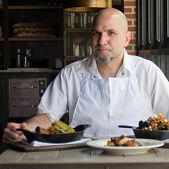 In 2006 he joined restaurateur Donatella Arpaia to open “Dona” restaurant, where he served First Generation cuisine—food that blended their modern American experiences with the cuisines of their parents’ Mediterranean homelands of Italy and Greece. 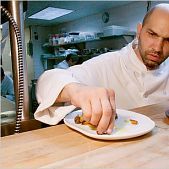 The New York Times gave two stars to his restaurants, and named it as one of Esquire’s Best New Restaurants in 2006. In 2007, “Dona” was forced to shut down due to construction problems of the building. 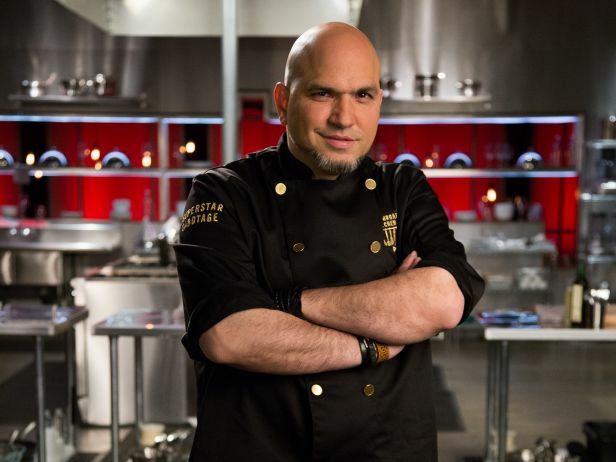 Psilakis is already planning to bring new ideas in the New York culinary scene. After that, he decides to transform “Onera” into “Kefi”, a rustic cozy neighborhood spot serving the Greek food he ate as a child. He moved his upscale Greek cooking from “Onera” to the “Anthos” in the center of the town. 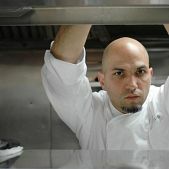 The restaurant was awarded a coveted Michelin Star, being one of only three Greek restaurants in the world to hold that honor.